​​​​​​​ ALLEN – The Allen City Council has approved plans for The Strand, a 135-acre mixed-use development at the northeast corner of Alma Dr. and Ridgeview Dr. 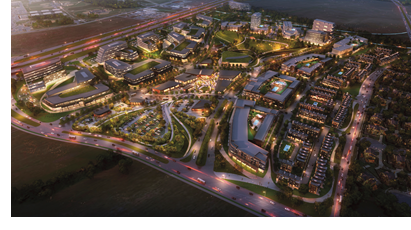 The development will have a mix of residential neighborhoods, retail, restaurants and office space. The first phase of construction will include single-family homes; open space and retail; the self-storage facility; and approximately 375 apartments. Check out DFW Housing, Multifamily, Office, and Retail Market Research.